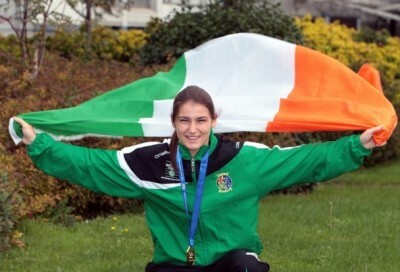 Katie Taylor will make her Madison Square Garden debut when she defends her WBA and IBF world lightweight titles against her former amateur foe Eva Wahlstrom next month, according to The42. The Bray-native unified the WBA and IBF lightweight divisions in April with a 10th-round stoppage win over Victoria Bustos. She followed that up with wins over Kimberly Connor and Cindy Serrano to extend her professional record to 11-0. Despite speculation indicating that Taylor’s next fight would be against Cindy Serrano’s sister Amanda, The42 has reported that it will in fact be the reigning WBF super featherweight champion Eva Wahlstrom. The undefeated Wahlstrom (22-0-1) has been WBF champion since 2015, and capture two silver medals at the European Amateur Championships. The 38-year-old was supposed to defend her title against Firuza Sharipova in Russia over Christmas, only for that fight to fall through. According to The42, Taylor will defend her world titles against the Finnish fighter on the 15th of December, assuming final details are agreed on within the next few days. The 32-year-old has fought, and beaten, Wahlstrom on three occasions, including on her way to gold in the 2005 European Amateur Championships and the 2006 World Championships. Should everything go as planned in the next few days, Taylor vs. Wahlstrom will take place on the undercard of Canelo vs. Rocky Fielding, and will be Taylor’s first forray inside the iconic Madison Square Garden in New York City. The fight will be broadcast on Sky Sports in Ireland and the UK as well as DAZN in the United States.